Hardwood Flooring Patterns, Which One Will Fit Your Home Best? 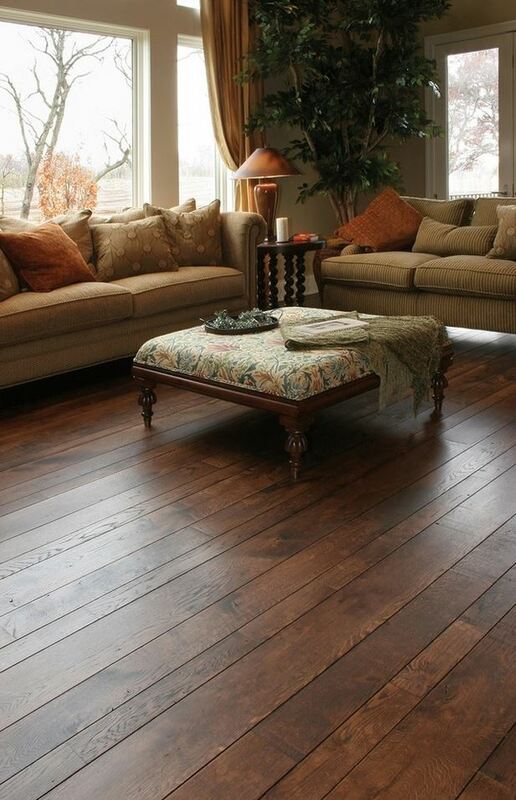 Choosing the right wood flooring pattern for your home will be essential for the final look at your house. It will make the difference between wasting money on a wood floor or investing into the one element that can change the look of your home completely. Floors and walls are the two most important decorative elements your home will ever have. Get them right and even the cheapest property could turn into a nice, welcoming home that your friends and family would love to be invited to. The pattern you choose for your wood floor, will impact not only the overall aspect of your home, but even the size of it, as it's perceived by the people visiting your home. 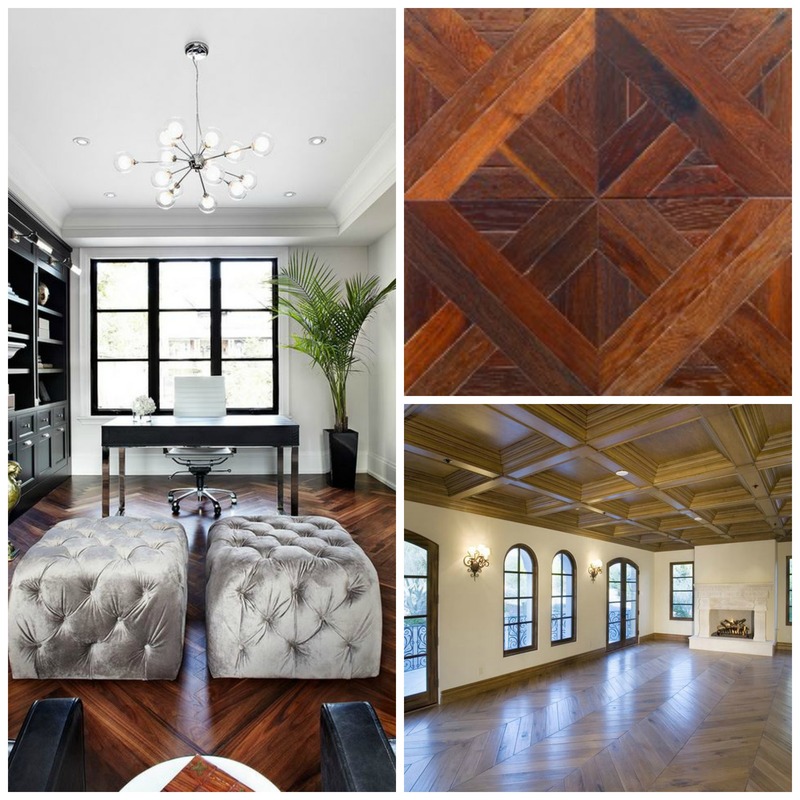 The main difference between these floors and the herringbone pattern, to put it in layman's terms, is that, on chevron pattern flooring, the boards are cut in an angle, while a herringbone pattern is made out of full boards. Random widths pattern could be installed either straight or diagonal using boards of different widths. E.g. one row of 2 ¼’’, followed by a 3 ¼’’ with a 4 ¼’’ after that. This pattern will repeat itself all the way to the end of the room. Random wood flooring patterns will create the impression of a bigger room, which is why I always recommend it as an alternative for wood flooring in small rooms. In order to achieve the desired effect, it is important for the floor to be installed parallel to the longest wall in the room. 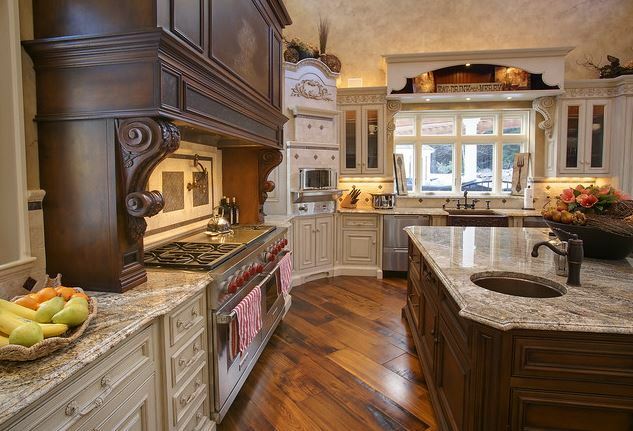 See some random width flooring patterns here! Herringbone patterns leave a beautiful impression when installed in large and very large rooms. It is not recommended to install them in small rooms, since they will make the rooms look even smaller. If you are in love with the look of the herringbone pattern, but have small rooms in your house, I recommend staining it a light color. The lighter the better… White floors will make your floor look bigger. Expect to pay big money for herringbone, both in labor and materials. A floor installed in a herringbone pattern is much stable than normal parallel installation, because the boards are pushing against each other, therefore annihilating each other with the end result of having little or no movement. These wood flooring patterns implies a much higher waste factor. Herringbone pattern has been a traditional floor pattern in Europe being installed in some of the most prestigious castles of Europe. Most herringbone floors are sold unfinished, but there are some flooring manufacturers that make prefinished wood floors. Herringbone pattern can be installed either parallel to the walls or in diagonal. On a square room, diagonal herringbone installation would be more economical both time wise and labor wise. 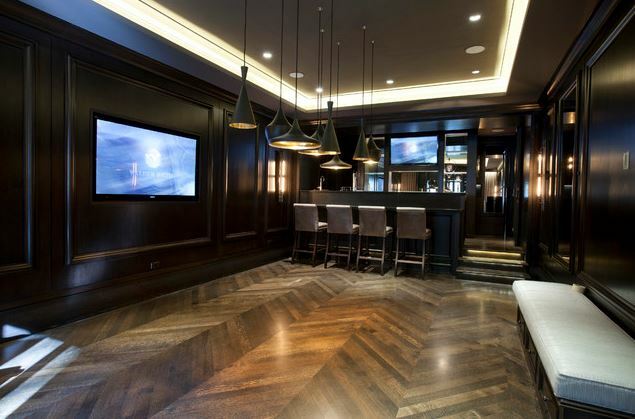 Being made out of a multitude of small boards, a herringbone floor installation is time consuming, dropping the production rate of a day to about 30-60 % of the normal installation rate, which is where the extra labor charges are coming from. Because of its astonishing beauty and symmetry, herringbone it has always been one of the most looked for wood flooring patterns. Diagonal pattern is the cheaper way to make your home stand out. These patterns are not as common as they deserve, mainly because the contractors won’t bring it up due to the extra time involved in executing the project. While diagonal patterns are cheaper than herringbone, they will cost more than installing the floor straight. Diagonal wood flooring patterns are more labor intensive because of the extra number of cuts needed in comparison to the straight installation. The extra time needed to finish a diagonal installation will convert into extra money coming out of your pocket. Also, when ordering material for a diagonal pattern installation keep in mind the fact that you will need to order extra material because of the extra waste factor in comparison to the straight installation. It is imperative not to install the floors parallel to the joists of the home. But what can you do when you move in a new house and the joists are all covered by walls? Which direction should you install in? The answer is simple: diagonal. Parquet flooring is a wooden floor made out of many pieces of wood, interlocking together to create a pattern. Sometimes, parquet flooring is made out of 2 or more different essences of wood. Few of the most common parquet wood flooring patterns are: basket, brick style and chevron. Parquet flooring is, many times, a combination of geometric shapes used to create a certain theme or an abstract art. The pieces of wood composing a pattern are usually tongue and groove pieces connected together. There are also the cheaper versions of parquet wood flooring patterns made out of veneer. When sanding these, a lot of attention is required to avoid damaging the floor. Use an experienced flooring professional to assess whether or not is possible to sand it and to execute the job as well. With parquet flooring, the possibilities are endless. From simple to elaborate from one species to a combination of them, the parquet manufacturers can create it. Parquet flooring has been the flooring of choice for Europe’s high society during the baroque period. Statistically speaking, apparently, homes with parquet flooring are always sold faster than houses with other types of flooring. 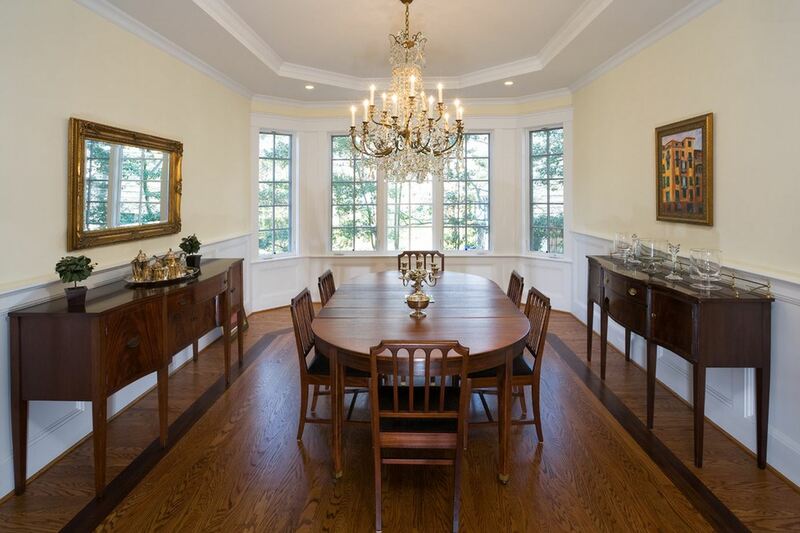 Parquet hardwood flooring patterns have been long associated with class and prestige. In the 1600’s these pattern became an integral part of the high society’s residences architecture. Castles all over Europe are covered with parquet flooring. Picture frame pattern has been used in the wood flooring industry in various ways. Picture frame pattern is sometimes used to point a certain feature of a home: a fireplace frame, or a frame around the dining table area. Sometimes, a picture frame pattern is being used to point out the shape of an entire home, by following the walls of the house throughout its entirety. Picture frames are being made out of the same material or out of different type of materials. There are breathtaking variations of picture frame installation. Be aware: you should never install a picture frame floor using prefinished flooring. These patterns, just like herringbone or parquet patterns will need the final touch of a sanding machine in order to look good. The corners will be uneven most of the times and this can only be adjusted during the finishing phase. Also, picture framing implies more top nailing than other types of floor installation, which will also have to be addressed during the floor sanding phase. What sets an average looking floor apart from a stunning looking one are the details. One such detail can be found in a picture frame pattern installation. Go to wood flooring patterns top of the page.